This program will allow you to start, pause, and stop the syringe pump channel. 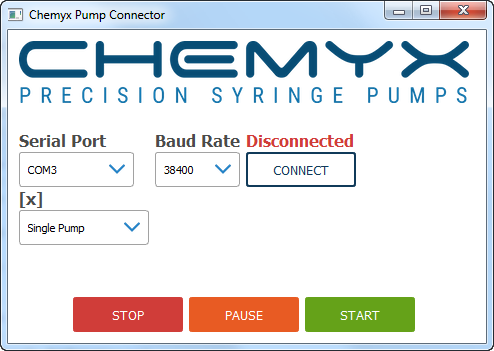 Start programming the syringe pump using Python. Chemyx does not provide technical support for the program and software described here.